Platformism is a tendency (or organized school of thought) within the anarchist movement. It stresses the need for tightly organized anarchist organizations that are able to influence working class and peasant movements. "Platformist" groups reject the model of Leninist vanguardism. They aim, instead, to "make anarchist ideas the leading ideas within the class struggle". The four main principles by which an anarchist organisation should operate, according to Platformists, are ideological unity, tactical unity, collective responsibility, and federalism. In general, platformist groups aim to win the widest possible influence for anarchist ideas and methods in the working class and peasantry—like especifismo groups, platformists orient towards the working class, rather than to the extreme the left. This usually entails a willingness to work in single-issue campaigns, trade unionism and community groups, and to fight for immediate reforms while linking this to a project of building popular consciousness and organisation. They therefore reject approaches that they believe will prevent this, such as insurrectionist anarchism, as well as "views that dismiss activity in the unions" or that dismiss anti-imperialist movements. The name "Platformist" derives from the 1926 Organisational Platform of the General Union of Anarchists (Draft). This was published by the Group of Russian Anarchists Abroad, in their journal Dielo Truda ("Workers' Cause" in Russian). The group, which consisted of exiled Russian anarchist veterans of the 1917 October Revolution (notably Nestor Makhno who played a leading role in the anarchist revolution in the Ukraine of 1918–1921), based the Platform on their experiences of the revolution, and the eventual victory of the Bolsheviks over the anarchists and other groups. The Platform attempted to address and explain the anarchist movement's failures during the Russian Revolution outside of the Ukraine. The document drew praise and criticism from anarchists worldwide and sparked a major debate within the anarchist movement. Today "Platformism" is an important current in international anarchism. Around thirty platformist and especifista organisations are linked together in the Anarkismo.net project, including groups from Africa, Latin America, North America and Europe. At least in terms of the number of affiliated organisations (if not in actual membership in some countries), the Anarkismo network is larger than other anarchist international bodies, like the synthesist International of Anarchist Federations and the anarcho-syndicalist International Workers' Association. It is not, however, a formal "international" and has no intention of competing with these other formations. Tactical unity — "A common tactical line in the movement is of decisive importance for the existence of the organisation and the whole movement: it avoids the disastrous effect of several tactics opposing each other; it concentrates the forces of the movement; and gives them a common direction leading to a fixed objective". Theoretical unity — "Theory represents the force which directs the activity of persons and organisations along a defined path towards a determined goal. Naturally it should be common to all the persons and organisations adhering to the General Union. All activity by the General Union, both overall and in its details, should be in perfect concord with the theoretical principles professed by the union". Collective Responsibility — "The practice of acting on one's personal responsibility should be decisively condemned and rejected in the ranks of the anarchist movement. The areas of revolutionary life, social and political, are above all profoundly collective by nature. Social revolutionary activity in these areas cannot be based on the personal responsibility of individual militants". Federalism — "Against centralism, anarchism has always professed and defended the principle of federalism, which reconciles the independence and initiative of individuals and the organisation with service to the common cause". The Platform argues that "[w]e have vital need of an organisation which, having attracted most of the participants in the anarchist movement, would establish a common tactical and political line for anarchism and thereby serve as a guide for the whole movement". Unity, in short, meant unity of ideas and actions, as opposed to unity on the basis of the anarchist label. The Organisational Platform of the General Union of Anarchists (Draft) was written in 1926 by the "Group of Russian Anarchists Abroad", a group of exiled Russian and Ukrainian anarchists in France who published the Dielo Truda journal. The pamphlet is an analysis of basic anarchist beliefs, a vision of an anarchist society, and recommendations as to how an anarchist organisation should be structured. The authors of the Platform insisted that its basic ideas were not new, but had a long anarchist pedigree. Platformism is not, therefore, a revision away from classical anarchism, or a new approach, but a "restatement" of existing positions. The Platform used to be known in English as the Organisational Platform of the Libertarian Communists, a result of its having been translated from the French edition popularized in the early 1970s. Alexandre Skirda, in his book Facing the Enemy: A history of Anarchist Organization from Proudhon to May 1968 (p. 131), attributes much of the controversy about the Platform to the original 1926 French translation made by its opponent Voline. Later translations to French have corrected some of the mistranslations and the latest English translation, made directly from the Russian original, reflects this. Some platformist organisations today are unhappy with the designation, often preferring to use descriptions such as "anarchist communist", "social anarchist", "libertarian communist/socialist" or even especifist. Most agree that the 1926 Platform was sorely lacking in certain areas, and point out that it was a draft document, never intended to be adopted in its original form. The Italian Federation of Anarchist Communists (FdCA), for example, do not insist on the principle of "tactical unity", which according to them is impossible to achieve over a large area, preferring instead "tactical homogeneity". the Revolutionary Confederation of Anarcho-Syndicalists by the name of N.I. 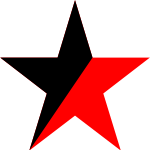 Makhno (RKAS), which is an international anarcho-syndicalist, platformist confederation with sections and individual members in Ukraine, Russia, Georgia, Germany, Latvia, Bulgaria and Israel. Organisations inspired by the Platform were also among the founders of the now-defunct International Libertarian Solidarity network and its successor, the Anarkismo network; which is run collaboratively by roughly 30 platformist and especifista organisations around the world. The Platform attracted strong criticism from some sectors on the anarchist movement of the time, including some of the most influential anarchists such as Voline, Errico Malatesta, Luigi Fabbri, Camillo Berneri, Max Nettlau, and Alexander Berkman, Emma Goldman, and Gregori Maximoff. As an alternative to platformism Voline and Sébastien Faure proposed synthesist anarchist federations, which they envisioned to form under the principles of anarchism without adjectives. In place of the Platform's stress on tight political and organisational unity, the "synthesist" approach argued for a far looser organization that would maximise numbers i.e. a big tent approach. Platformists view such organisations as weak despite their numbers, as the lack of common views means an inability to undertake common actions—defeating the purpose of a common organisation. While such criticisms indicated a direct rejection of the Platform's proposals, others seem to have arisen from misunderstandings. Notably, Malatesta initially believed that the Platform was "typically authoritarian", and "far from helping to bring about the victory of anarchist communism, to which they aspire, could only falsify the anarchist spirit and lead to consequences that go against their intentions". In my reply to Makhno I already said: "It may be that, by the term collective responsibility, you mean the agreement and solidarity that must exist among the members of an association. And if that is so, your expression would, in my opinion, amount to an improper use of language, and therefore, being only a question of words, we would be closer to understanding each other." ↑ Workers Solidarity Movement, 2012, "Why You Should Join the Workers Solidarity Movement". Accessed 5 January 2012. 1 2 Anarkismo, 2012, "About Us". Accessed 5 January 2012. ↑ "Black Rose Anarchist Federation -". Black Rose Anarchist Federation. Retrieved 4 May 2015. ↑ "Linchpin". Retrieved 4 May 2015. ↑ "Motmakt". Motmakt. Retrieved 4 May 2015. ↑ "libsoc.dk er midlertidigt nede". Retrieved 4 May 2015. ↑ "(no title)". Retrieved 4 May 2015. ↑ "Why do many anarchists oppose the "Platform"?". An Anarchist FAQ. Retrieved Aug 12, 2013. ↑ "Especifismo and Synthesis/ Synthesism". Retrieved 4 May 2015. ↑ "A Project of Anarchist Organisation". Retrieved 4 May 2015. Towards a Fresh Revolution Written by the Friends of Durruti group following the Spanish Civil War, this text is arguably one of the most important Platformist texts ever written. It reaffirms the early calls from the Russian comrades for tactical and theoretical unity, and better organizational practices, and sheds light on the errors in organization during the Spanish Civil War.